Are you always in search of quick and tasty snacks for teatime..Here is an opportunity to share what is your favourite tea time snack and also learn more varieties of such snacks from other bloggers..Pamper yourself by preparing your favourite snack anytime during the month and send it over for the WYF:Tea time snack event this December..
to easycrafts@gmail.com by 31st December '09. I will pick up the picture from your blog...you neednt send it. The roundup would be published during the first week of January. This week's featured super blogger is Srivalli from Cooking 4 all seasons. Hardly anyone in the blogging circuit might be unaware of her blog and her melas. The MEC events for Microwave cooking, a contributor to Beyond curries, various Melas, the Indian cooking challenge, two other blogs - she has her hands full and yet manages to efficiently provide time for each of them..
Srivalli: I got hooked on the idea of a blog after seeing my friend's personal blog. I created first my personal blog, Journey Called Life, wanting to update my daily journals. I have always been interested in cooking and have many cookbooks, paper clippings. So creating a cooking blog was only natural. I started blogging "Cooking for all Seasons" from May 2007, that makes it about 2 years 6 months. For about a year and half, I was posting daily in C4AS. But with my kids growing up and the work on two more blogs, I try doing atleast two - three posts per week. One day when my elder twin saw his brother's picture on my profile. he asked me where his picture was. So that actually led to creating a new blog "Spice your Life" so that I can upload his picture. With the new blog I thought I could expand the topics, so Spice your Life, has every element that is meant to spice one's life! I even got my dad to write and educate on Diabetes and I try thinking further on parenting, Indian culture and traditions etc. Journey Called Life is purely a personal blog about my paintings, poems and writings, which are my other hobbies. Yes there was a time when I used to cook specially for blog and blog events. These days I try but mostly can't. EC: Who and what inspired you to start food blogging ?? Which blogs inspire you ?? Srivalli: I wanted to write a cookbook, but with everything I had already on my plate, venturing into it then, was not possible. So I thought I would record my recipes online. EC: How do you think blogging has changed your perspective and exposure ? Srivalli: In a way, starting with blogging on food, has helped me know how much more work is involved in creating a cookbook. Blogging experience has given me the confidence and audience for my cookbook. Srivalli: I think it all depends on how much we want to do something. I mostly blog during nights when my family sleeps. The days I don't post, I get my content ready with pictures. So sometimes I schedule posts when I know I won't be able to do right then. EC: Your melas are very popular..tell us something about it. Srivalli: Thank you! I started with Dosa Mela, because I love dosas and am always on the look out of new ones. I was surprised to see so many dosa lovers. And they wanted more such melas! so the series continued.. I was enjoying the fact that I was able to annotate each entry, which my readers liked too. I tried doing that for the next 4 - 5 melas, but with 350 entries, though I read each one of them, writing something about it was too exhausting. Then I wanted to do something different. So I created a program to link the pictures directly in a collage. In the melas collages, you can directly click on the picture to the blog. EC: You have been affected by plagiarism..How do you think we can fight and deal with it ?? Srivalli: Plagiarism is horrible. When it happens online and is hosted on the free services, you can file complaints with the service provider, who will take down the site. But with print media lifting your content, you are so helpless to do anything. We need to have stronger cyber laws in India. Naturally fellow blogger's help and spreading the word helps. EC: Can you give some tips for new bloggers to make their blogs popular ?? How do you stay in contact with your readers ? Srivalli: As the cliché goes, "Content is the King". I strongly believe in that. Decide what you want to share and how private you want to keep things. Remember you are publishing to the whole world to see. So take responsibility on what you say on your blog. It might be your own space, still credibility and accountability is more important. Writing may not be everybody's forte. But checking for grammar and typos are least anybody can do. Try to write what you want in simple language. Give content that is well received. Like documenting your family treasures will surely get everybody sit back to read and in due course of time, you will get lot of interactions. Be part of the community. Have an interactive post. When readers see that they are asked something, they will surely respond. Though I do have lot of email contacts, I now have most of them on Facebook, Twitter. But one should again know what is important. 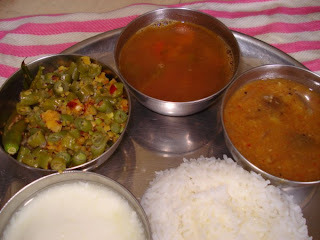 Srivalli: I love all the ones that I posted..but the simplest one would be this complete meal! Make a soft dough of wheat flour, salt, methi leaves and water. Remember not to cut the methi leaves in advance as it turns out bitter. Keep aside for 1/2 hour. Make medium sized balls of it. Dust with flour and roll into chapati. Apply a little oil/ghee and sprinkle some flour over it. Fold it into half and then once again apply oil and sprinkle flour. Fold once more into half to get a triangle. Dust with flour and roll it into a triangle paratha. Cook on hot tava with oil/ghee as required till you get brown spots on both sides. Repeat for rest of the dough. Serve hot with side dish of your choice. Heat oil, add cumin seeds. When it splutters, add the chopped onions and fry for 2-3 mins. Add the onion and tomato puree and cook for 3-4 mins. Add turmeric powder, red chilli powder, garam masala powder, ginger paste and salt. Add little water as required for gravy. Allow it to boil. Add the potatoes and peas and cook for 5 mins. Garnish with coriander leaves. 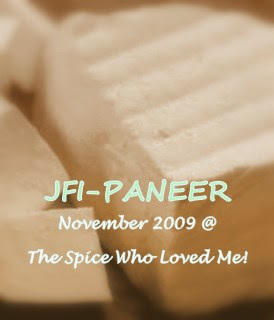 Paneer Manpasand is off to JFI:Paneer hosted by Cardamom. Make a soft dough of wheat flour, salt and water. Keep aside for 1/2 hr. Heat the palak by sprinkling some water to make it soft. (dont add more water- it should be dry) Cool and add rest of the ingredients and mix well. Make medium sized balls of it. Make balls of the dough. Roll into thick poori, place the stuffing inside and cover with dough from all sides. Dust with flour and roll again into thick paratha ensuring the filling doesnt come out. Budding blogger series introduces new bloggers (those blogging from Jan '09) every wednesday and promotes their blogs through Simple Indian Food. If you are interested in being a part of this series, please mail me a short description about your blog, the cuisine you specialize and your objective/inspiration in blogging to easycrafts@gmail.com. This week we visit A2Z Vegetarian recipes blog of two neighbours Muskaan and Sadhana which is a treat for Vegetarians. A first visit to the blog and you will not feel it is a budding blog..Very neat and attractive layout, healthy vegetarian recipes, information related to ingredients, this blog has it all to be at the top. A blog all about A 2 Z in vegetarian cooking, you will also find Indian vegetarian recipes, simple and healthy cooking, desserts, drinks, cooking tips, kid friendly food, interesting food facts, nutritional information. The blog tries to incorporate Indian, International, and fusion cooking like Indo-Thai/chinese/Mediterranean/jain/vegan/low-cal/high-protein...recipes for weightwatchers etc.. The key objective behind blogging is to exchange ideas on healthy vegetarian recipes. We live in faced pace and high stress life facilitating so many chronic diseases like diabetes gaining epidemic proportions. Asian Indians being genetically more Insulin resistant it is really important to watch out on what you as well as your children eat. Our " Know What You Eat" section is very interesting. It not only educates ourselves but our readers as well & provide adequate knowledege of "food facts", & healthy eating habits.Through blogging we share what we cook and come across lot of healthy recipes from our other blogger friends to try. Mix rasam powder, salt, asafoetida, turmeric powder, curry leaves, tamarind paste, tomatoes with 2 cups water and heat on low flame till the tomatoes get soft. Add the cooked dal and another 1/2 cup of water and allow it to come to a boil. Heat oil, add mustard seeds. When it splutters, add to the rasam. Garnish with finely chopped coriander leaves. Serve with plain rice or as a soup. Soak the rice for 1/2 hour in sufficient water. Heat oil and add cumin seeds. When it splutters, add green chillies, cashews and roast till it starts turning golden brown. Add asafoetida, curry leaves, onions and fry for 2 mins. Add the cleaned cauliflower florets, rice (after draining the water) and cook for 2 mins. Finally add 2 cups of hot water, salt, turmeric, curds, garam masala powder and mix well. Transfer to a vessel and pressure cook. Garnish with fried onions, cashews and coriander leaves. Deeba: I’ve been food blogging since August 2007. My blog is about my passions in life...baking, cooking, photography, nature, and art. I believe in 'Doing Food From Scratch'; it must taste as good as it looks, and be healthy too. I enjoy blogging immensely, & am part of a wonderful online community. I blog from India, where my biggest challenge is the non-availability of baking ingredients. I have to admit that I now cook to feed my blog, and try to post at least twice a week. Join me in my adventures as I wriggle my way through the kitchen! EC: Who and what inspired you to start food blogging?? Deeba: I began blogging just over 2 years ago; a meek attempt to document my adventures & misadventures in the kitchen, and record basic recipes as I had time on hand. Little did I know that blogging would take over my life? I am ambitious as far as blogging goes, am addicted to it, and enjoying it thoroughly. It has enriched my life beyond belief, put me in touch with beautiful and fun foodies, made me a Daring Baker, and made me look at the camera with new eyes. I have learnt that there is more to 'macro' than what I learnt in university while doing my honours in economics, and this macro is certainly more fun! The camera is my best friend, and has escaped many a threatened fall into curries and cakes. I love it! I have a long way to go, and want to write cookbooks, improve my photography skills, learn to make macarons like French pastry chefs...ah I love this life! 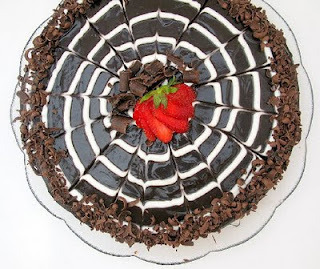 EC: Like the name of your blog and your recipes suggest, you do a lot of baking..Can you share some tips about baking. Deeba: As people who now know me, baking is my passion, the joy of my life. The name is a reflection of my passion. The most important tip for baking is to know your oven. It's usually oven temperature & over beating that messes up the end product. If you are a beginner, then try an easy muffin or pound cake to gain confidence. An apple/pear crumble is also a good way to begin. If you need help, please feel free to ask me. I am always willing to share whatever little I have learnt along the way. Deeba: Thank you. I have a long way to go, but basically enjoy shooting in natural light. I don't have fancy SLR. Just a Canon G9, which is a slightly higher end point & shoot camera. I shoot in macro, mainly using a sheet of white cartridge paper as background. My skills in photography are non-existent, so I still shoot in auto, but do try & experiment. I edit my pictures in Picasa, and sometimes in Photoshop. EC: Your views on plagiarism and how can we fight it?? Deeba: Don’t be shy to step onto the blogging platform; don’t be intimidated. It’s a whole world out here, with a lot of bloggers, but there’s always room for more. Bloggers share a wonderful camaraderie, and are more than willing to share their world with others. Do remember though, to always ask before you use any ones work, and always give credit when you do. There is no place for plagiarism here. We need to take a united stand against it. EC: What are your sources of recipes and which is the dish that is a hot favourite among ur family and friends. Deeba: My recipes are often inspired by the season, and from blogs I visit. I am a free spirit and find it difficult to follow a recipe exactly. I often make changes as I work my way, and tend to take pictures at every stage to record what I do. My iced cakes are a hot favourite with my family & friends, as are my iced cookies. EC: Any interesting incident/experience that you relate to blogging. 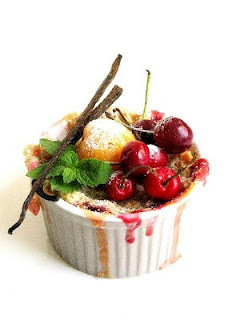 My favourite vegetarian recipe is a dessert, 'Apricot Cherry Mini Crumbles', a recipe easily adaptable with seasonal fruits like apples and pears also. I have made a mango & ginger version in the past as well. I like this recipe as you can make individual servings in ramekins, or then one large portion in a pie dish. Mix all ingredients for stuffing well. Roll out the dough into medium sized chapatis and cut it into half. Apply little water on the sides and fold it into cone shape. Fill in the cauliflower peas mixture and close the other ends as well. Ensure that it is closed well on all sides, else the filling will come out. Repeat for the rest of the dough. 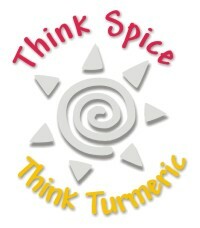 Soak the rice for 15 minutes and pressure cook with turmeric, salt, 2 cloves, piece of cinnamon and 1 bayleaf. Make a smooth paste of cashews, onions, tomato and poppy seeds. Heat non stick pan, add cloves, bayleaf and heat for a minute. Add the ground paste, ginger paste, salt and cook on low flame till raw smell goes off and it is dry. Add cooked vegetables and mix well. Divide the rice into two portions. Put milk in the bottom, spread one layer of rice, then the cooked shahi korma and then finally the remaining rice. Microwave for 2 minutes. Turn on the serving plate and garnish with coriander and fried onions. Soak the dalia and dal for 15 minutes. Heat a non stick pan and add cumin seeds, cloves and roast for half a minute. Add the onions and fry for a minute. Add ginger paste, dalia and dal (after draining the water), tomatoes and fry for another minute. Finally add rest of the ingredients and 2 cups of boiling water. Mix well and transfer to a vessel to pressure cook it. I am Padhu from India, who has entered the blogging world since August 2009. I am married and a mother of 2 wonderful kids. I started blogging to share my cooking experience with others and it is also a creative outlet for me. I am very particular about health and try to make my recipes as healthy as possible without compromising on the taste. I also wanted to bring back Traditional Indian recipes in this era of fast food. My blog is all about easy to cook vegetarian dishes and tips for the novice to kitchen. My interest in cooking developed when my kids started enjoying my cooking. I am very particular about the quality and content of my blog and will never compromise on that. After I started blogging I have developed interest in food photography also. I hope you will support me and encourage me with your feedback and comments to make my blog more useful and appealing. Cook the cabbage till soft and dry. Heat oil, add mustard seeds, bengalgram dal and blackgram dal. When it splutters add curry leaves, red chillies, asafoetida and then cooked cabbage. Add salt and mix well. Serve with rice. If you want it a bit spicy, add 1 tsp garam masala powder and it can be served with rotis too..
Heat the milk on low flame and stir continuously till it gets thick..It would take about 1 hour 15 mins for 1 ltr milk. Add sugar, milk powder and cardamom powder. Mix well and stir till it gets thick. Pour into greased plate and cool. Cut into desired shape pieces. Garnish with chopped nuts. 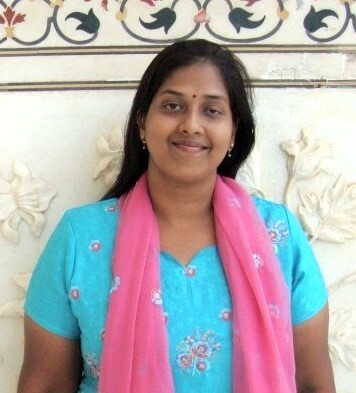 Meet Padma Rekha of Plantain Leaf (Andhra recipes) blog this week at Super Blogger sunday series. She attributes the drastic changes in her style of writing and food photography to her objective of coming up with a recipe book. You can look forward to some traditional Andhra recipes and also some interesting International cuisines on her blog apart from other regional cuisines. Padma: I am a home maker and cooking is my hobby, profession and interest. I have been blogging since May 2008 and my blog is one and half year old. Actually I wanted to write a book on Andhra traditional cooking from a long time and to collect all my Andhra recipes in one place, I started this blog. However in the past one and half years I have seen many bloggers more talented than me. I am working on that project with traditional Andhra recipes. Hoping to finish it soon. I love to learn more about cuisines and consider it as a big ocean. What I learnt in this ocean is just a drop and there is so much more to explore - it is to be seen how much I get to learn. My other hobbies are travelling, crafts and yoga. I am a person who believes in God. I have one more blog Yatra, where I write about my holiday tours and devotional, though not frequently. My main concentration is on my food blog. EC: Who and what inspired you to start food blogging ?? Which is the most inspiring food blog ? Padma: Nobody inspired me to start this blog. Its my interest in cooking and my cooking book. Also I wanted to explore Andhra cuisine in an easy way. After I started my blog I got inspiration from so many bloggers and my culinary skills have also improved a lot. EC: You have tried out in all more than 400 recipes- a lot of International recipes as well as explored various Indian cuisines..Which is your personal favourite cuisine among them ? 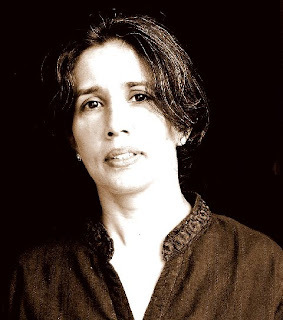 Padma: Yes I have more than 400 recipes in my blog. Andhra cuisine is my all time favorite. Other than that I like all Indian cuisines and also French and Italian. EC: What are your sources for recipes ? Do you follow the recipes exactly as given or make changes to it ? Padma: Most of my Andhra recipes are from my Mom, my grandmothers, aunts and some fusion recipes are from my sister. Few recipes I tried from cook books (I have a good collection of cooking books) and TV cookery shows which is the only program I watch on TV. Most of the other Indian recipes are from my friends - all of them tried and tested. After I started my blog I tried some from my fellow bloggers too. Some times I make changes to the original recipe, but most of the recipes I follow as it is. EC: You have been baking a lot too..Any tips of baking ? Padma: Yes I just love baking. Weekly once I bake some bread, cookies and tea cakes. Correct measurement and time is very important in baking. Padma: I learnt so many things after I started my blog. Mainly, I learnt about writing a perfect recipe (according to that I am changing my recipe style now and you can see more improvements in my blog within few days) and food photography(I have to still improve). So my blog has become a part of my life. Padma: Since I am a food lover I have a big list of my favorite foods. 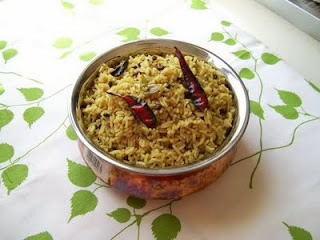 In that list, Rice comes first and any mixed rice like Andhra pulihora is my all time favorite. Heat oil, add cumin seeds. When it splutters, add chopped onions and fry for 2 mins. Add the turmeric powder, red chilli powder, salt, garam masala powder, potatoes and peas. Mix well and cook for 5-7 mins mixing well. Garnish with coriander leaves. Fry the cabbage in 1 tsp oil for 3-4 mins. Pressure cook it along with both the dals and tomatoes. Mix all the ingredients except oil. Make balls and pat them into rounds on a greased paper with wet hands. Make small holes with the back of the spoon. Cook it on a hot tava with little oil in the sides and a drop of oil in the holes till brown spots appear on both sides. Serve hot with curds or butter. Originally started as a hobby to pass my free time, this blog is now my passion; A passion that beautifully compliments my other passion - Cooking. Being a hard-core foodie myself, the craving to please my beloved hubby and my own palates keeps me going to try new recipes. 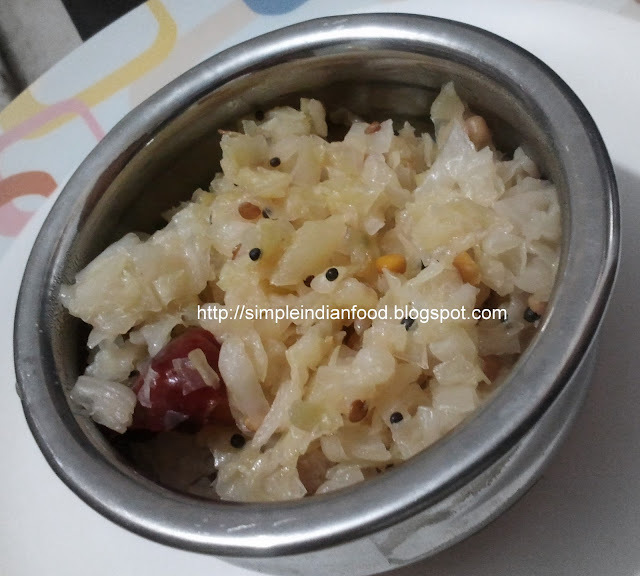 About my blog: This blog mainly features simple, day-to-day cooking (both south Indian and north Indian cuisine) in our households and occasional specialities from over the world. As an amateur budding photographer, I have also tried to make all the posts visually appealing. Hopefully my blog, with all the support from my fellow-bloggers and readers, would evolve into a more appealing and indispensable nook for all. Mix the flour, salt, potatoes and coriander leaves to make a tight dough. Add 1 tsp oil and mix well. Keep covered for 10 mins. Make balls, roll them into a slightly thick pooris and deep fry in hot oil till done. Made these small ones for fun..Can be made this way for kids. Heat oil, add mustard seeds, blackgram dal, cashews and bengalgram dal. When it splutters, add green chillies, curry leaves and asafoetida. Add turmeric powder and then cooked peas. Add cooked rice, salt and mix well. Finally add lemon juice and coriander leaves. Mix well. Serve with raita of your choice. Ideal for travel and lunch boxes or a quick meal. This week's featured blogger is Deesha from Vegetable Platter. You can look forward to some good varieties of Indian and International cuisines in her 16 months old blog. Deesha: Vegetable Platter is a little more than an year old .. my entry into the blogging world was only after having got married. I would constanly google for recipes & I stumbled upon so many blogs. I have always been so passionate about food, so starting a food blog was very natural. EC: How do you think blogging has changed your life and widened your exposure? EC: Tell us something about Chat Seva blog. EC: What are your main sources of recipes ?? Make a thick batter of the flour, salt, asafoetida and coriander leaves. Keep aside for 10 minutes. Dip the potato pieces and coat it with the batter. Fry in hot oil till done on both sides. 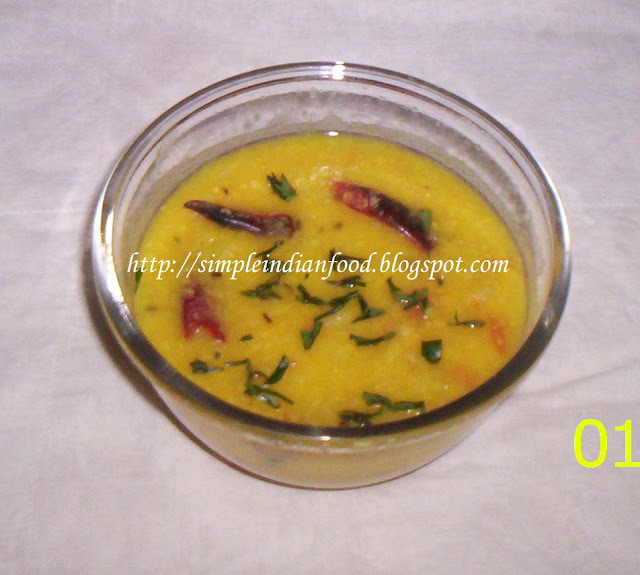 Soak the dal for 2 hours and grind to smooth paste with ginger and green chillies without adding water. Add salt and chopped spinach and mix well. Make vadas and fry in hot oil till crisp and done. Mix all the ingredients except oil and bread crumbs. Before adding the bread slice, dip for a second in water and squeeze out all the water. Now make balls of these mixture and flatten it to tikki shape. Coat with bread crumbs. Cook with few drops of oil on a tava till crispy brown on both sides. Serve hot with sauce/sweet chutney. My name is Nivedita, I am from Karnataka, born and brought up in Hubli- Dharwad. After marriage, I stayed in UAE (Abu dhabi, Sharjah) for 11 years. Now back in India, for my children and their education. Entered the kitchen at the age of seven, still loves to cook and experiment the food. I eat anything in the plate. I believe in simple living. Always ready to learn something new. Love to read books! Even though I created my blog in December 2007, I started posting only in March 2009. It was delayed for many personal problems. But it was always in my mind to start it one day!!! So Here I am with my many recipes and my views on many issues. Still working on some events and projects and articles on current issues. My motto to start a blog was to introduce many North Karnataka recipes and to try food from other blogs and share with others. And I wanted to express my feelings and views!! which is very easy in blog world. Thanks a lot for participating in the Light Meal event and pouring in so many delicious and healthy recipes.. I created for fun and even kept private (just shared with my family members and friends and lasted just 15 days). Later, I decided to make it public, pretty glad that I did it. I got some good friends, met few bloggers, and learnt / tried lots of recipes! Cham: I would be a liar if I say No! Time to time, I cook especially for the blog event, most of the time appreciated by my family! EC: Who and what inspired you to start food blogging ?? Any specific food blogs that inspired you? Cham: Well, when I started none inspired but later visiting many food blogs, I started to shape up many curves! Blogger is quiet interactive platform. Comments and appreciations are the great booster! That will help you a lot to continue with spirit! Asha and Happy Cook are the role model for encouraging and most often leaving their first appreciations in every post! Do they inspire you to do the same in others posts! In food photography: I was stunned seeing Jai and Bee pictures. Many times, I ask myself how an ordinary thing could look so tastier! They gave lots of inspirations! Thanks to other bloggers who visit and leave a sweet note - Everyone is unique! Cham: First thanks to appreciate a non-food post. Plagiarism a word that everyone should / must know! I have been victim too but didn’t talk in my blog about it. My blog post picture was been published / printed in one of the famous monthly (tamil) magazine without my permission under different user name. The person cut my bottom copyright message (quiet old picture) added her recipe (was not mine). I was on vacation in India at that time. Didn’t do anything because of timing. There is no absolute way to protect your content on the web. As a precaution, I went a step further down. I implemented in some of my recent picture a layering method; people can still download but only my blog background! And track what the visitor does on my site! Now, I feel maintaining a blog is quiet a hassle! If the thief is technical geek, he/ she can easily know from where to pick the image! I assume they only know how to right click or cut and paste! I will be posting soon the layering technique and few other tips if that might help others! EC: You have a seperate section for dummies..Which is the first dish that you would suggest for a newbie in cooking to try from your blog. 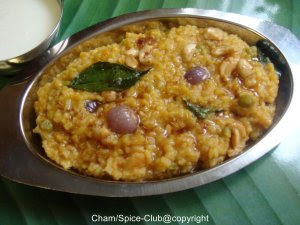 Cham: If you are a Non-Indian: Refer first to the visual ingredients lists first, before picking any recipes. Indian cooking involves many special spices! If you are familiar with Indian cuisine: It all depends upon your taste buds and what you have in hands / pantry! My dummies section has plenty of recipes! The choice is always yours! Indian cuisine is globally vision as Vegetarianism - the style and cuisines differ from Region to Region! There are many Regional Indian cuisines, owning their own style and difference! Each cuisine reflects their own culture/region, custom and the religion belief! When you like a recipe, adapt the recipe at your taste or life style! Many think Indian cooking is complicated, spicy, and not suitable for their taste buds. Nope, you might be wrong! Go ease with spice level if you are not used with spice. Adapt a recipe to your taste buds and play with ingredients. Spicy sandwich: a bland sandwich turned into spicy stuff. Desi Mac and cheese: a classic American dish infused by Garam Masala! Cham: My family favorite recipe: Bise bele bhath!